We are birthed in pain. We are reared with the threat of physical pain used as a training tool. Parents use physical and emotional pain to correct behavior. Our surroundings threaten us with pain when we touch the stove, when we reach too far and fall, and even when we recklessly pull the cat’s tail. The entire thread of our lives is interwoven with the presence of pain. Still we fear pain, we avoid pain, and we let it control our behavior. Pain has immense power over our lives, yet we find experiencing pain so repulsive that we go to great lengths to avoid every aspect of pain. How we deal with pain is really the only power we have over it. Since Adam and Eve sinned, pain has been the traveling companion of humanity from birth to death. Pain is and will always be an integral part of our walk on earth. We have no power to eliminate and avoid all pain. But, we do have some power over our attitude toward pain. On a personal note, the pain of major spinal and hip disease recently drove me out of a 20-year career in real estate. The constant presence of chronic pain and disability-related obstacles has brought on an immense dark cloud of depression to accompany the skeletal pain. I have no way around dealing with my pain other than approaching it with a different attitude. Pain is inescapable, but it is teaching me tremendous lessons in life, and for this I am grateful. One such lesson I learned while watching my cats. Their fear of water piqued my curiosity. I had entirely too much time on my hands, so I thought I would study why cats had such an aversion to water, even though water was necessary and ever-present in their lives. The results of my study paralleled my contemplations about my pain, and compelled me to write about the comparison. I discovered that not all cats have a natural aversion to water. Even cats that should naturally be averse to water sometimes immerse themselves in the joy of water (smirk). What makes the water-friendly cats different is training, attitude and experience. Arriving at this conclusion gave me the proverbial “ah-ha moment” in my relationship to pain. Perhaps I could actually become pain-friendly with the right training, attitude and experience. The cats deserved more study. What was also amazing is that many cats have actually moved past their aversion to water, and arrived at a place where they are indeed friendly to it. 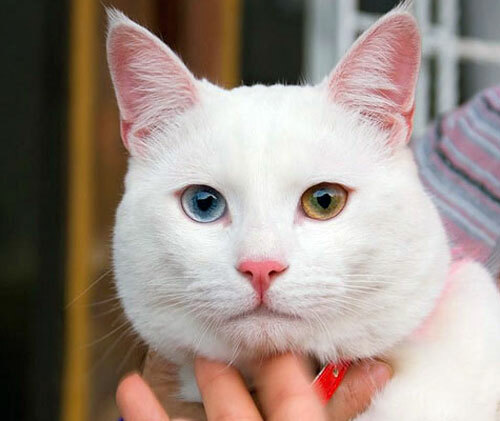 I was amazed to discover that the effect of pain overcame the Van cat’s fear of water, and they actually delighted in getting wet. Water, they discovered, would relieve the oppressive heat of their native environment. Generations of Van cats have handed down their training to water, their fearless attitude toward it, and lifelong experience in dealing with water to the next generations. From my discovery, I decided this observation, one that originated in the Book of God’s Works, needed a comparison to the Book of God’s Word. As it turns out, the Scriptures supply a bounty of comparative support for my theory. From my ministry training, I work as a counselor in a recovery program, and this is a familiar passage. I contemplated the passage in relation to my “cat theory”, and decided this was a remarkably sound comparison. The Van cats would undoubtedly never have overcome their fear of water had the journey of their breed not put them in unique circumstances coinciding with the sweltering heat of Turkey. God blessed them with a unique power of the mind to overcome their fear and take control of pain and danger. The pain of heat pushed them into the water, and instead of drowning God forced them to use the natural swimming ability he put inside them. Had the pain of heat not occurred, they would never have overcome their fear and become the breed that is most famous for their delight in swimming. Pain is a purposeful part of our life that has been applied to the experience of every generation of humanity. Most of humanity fears and avoids pain. Still, a unique group of human beings have a different attitude about pain, and that pain teaches them, encourages them, strengthens them and even becomes their friend. For humanity, faith, purpose and ideology can play big factors in their relationship to pain. From a place of curiosity about cats, and too much time on my hands, I got to experience a journey of understanding the purpose God has behind my pain. Physically, I am in as much pain as I ever was. What makes me less fearful, and more friendly toward the pain is knowing that God has put the pain in my path for a reason greater than I now know. With the power of God, and an attitude of acceptance, my pain is helping me overcome my fear to serve a greater purpose in being the hands and feet of the God I love. God is sovereign. He can do anything he wants to do. He is also omni-benevolent, that is all-loving. What he does I can always have confidence that it is in my best interests for His purpose. So through a journey of soggy cats and a little research, I’m led to a place of friendship with pain. Planet, Animal. 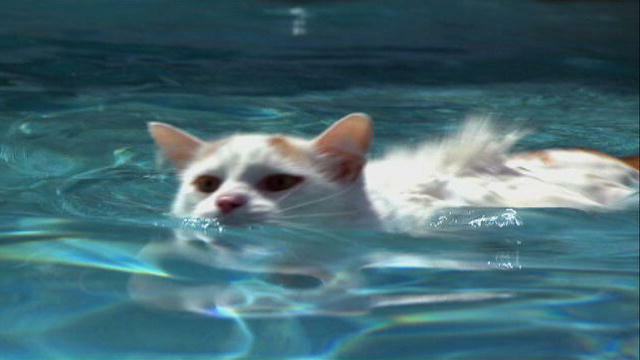 Do cats really hate water? n.d. http://www.animalplanet.com/pets/healthy-pets/do-cats-really-hate-water/ (accessed 5 30, 2015).